A new study by the National Insurance Crime Bureau has found that Mercedes-Benz leads all other luxury automakers when it comes to car thefts in the United States. Mercedes-Benz has landed atop a list that none of its loyal owners want it to be apart of: A list of the most stolen luxury brands in the United States. Aside from being a favorite amongst luxury car buyers, Mercedes-Benz is also a favorite of car thieves, according to a new report by the National Insurance Crime Bureau (NICB). The study, which looks at vehicle theft activity in regard to luxury vehicles, found that three Mercedes-Benz models—the C-Class, E-Class and S-Class—all ranked in the top 10. The report concluded that 4,384 luxury class vehicles were stolen in the U.S. between 2009-2012, 1,029 of which were Mercedes-Benz cars. 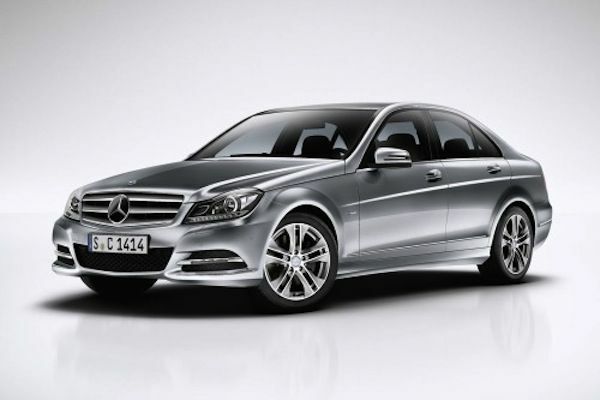 The most-stolen model on the list was the Mercedes-Benz C Class sedan. Of the 4,384 vehicles, the majority of thefts were relegated to the compact luxury segment with 2,150 vehicles stolen. This was followed by 1,734 thefts in the mid-sized luxury division and 500 thefts in the premium luxury segment. So where is the most popular location for luxury vehicle theft? California had the highest number of thefts at 1,063, while Florida finished second with 674. The top ten states accounted for 3,547 luxury vehicle thefts—81 percent of the total. South Dakota and Wyoming each had only one theft. According the core-based statistical areas (CBSA), the New York City area—which includes Long Island and New Jersey—lead the nation with a reported 806 thefts. The Los Angeles region was second with 491 thefts, followed by Miami with 452. Of the total vehicles stolen, 83.7 were recovered, which translates to 713 vehicles unrecovered. The vehicles with the highest number of unrecovered vehicles were the Infiniti G-Series (83), Mercedes-Benz E-Class (80), and the Mercedes-Benz C-Class (78). The report only includes thefts that have been entered into the National Crime Information Center (NCIC) database. Thefts that are the result of fraud or financial schemes are not always entered into the NCIC.